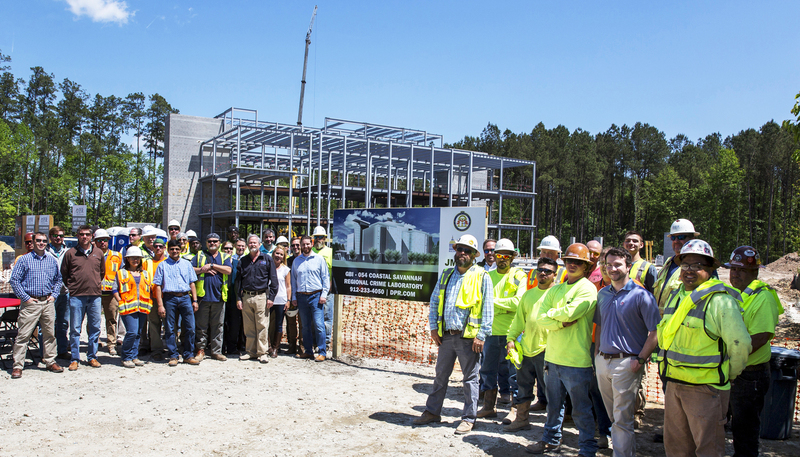 DPR Construction celebrated the placement of the final beams on the highly anticipated Georgia Bureau of Investigation’s (GBI) Coastal Regional Crime Lab today. Once complete, the new center will allow investigators to examine projectiles, drugs and biological samples from crime scenes in 23 Georgia counties, and provide forensic biology services for another seven counties in the state. It will replace the current lab facility on Savannah’s Southside that is more than 30 years old. Photo courtesy of JMA Architecture, Inc.
“At DPR, we exist to build great things. Collaboration is in our DNA; we know that to deliver the best project we need to work with the very best local trade partners. Today is about celebrating their collective effort,” said DPR's Darryl Strunk. Strunk estimates that at project completion, more than 40 local trade partners will have participated in the project. 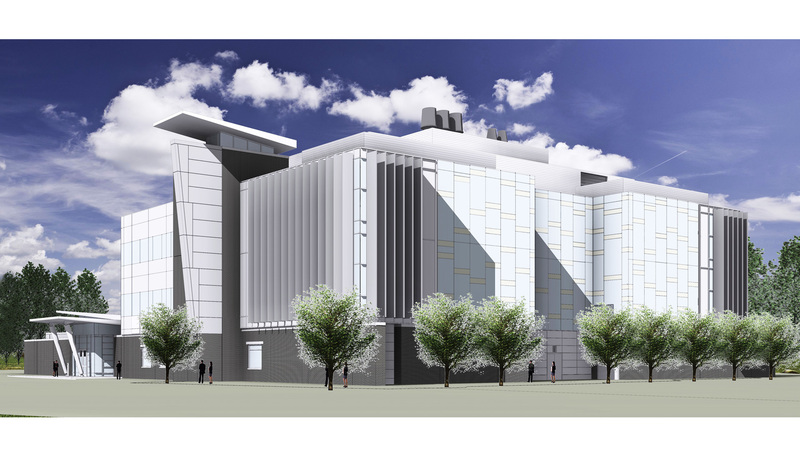 The new crime lab will include a three-story laboratory and medical examiner’s office. Because of the sensitive nature of the equipment the facility will house, DPR has utilized the latest BIM technology to model all the components of the building while at the same time implementing lean construction practices throughout the entire construction process.